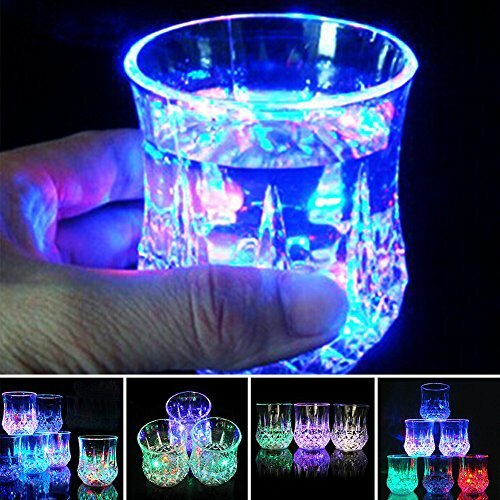 Flashing shot glass with LEDs activated by pouring liquid into the glass. Material: Acrylic, Eye catching LEDs: Auto color fading + flashing. Water activated: It glows automatically when drinks are added It turns off when there is no liquid left. Perfect for drink competition, see who is the first to finish the drink and turn off the LED. Batterypower: built-in button battery, can be replaced; Power By: 2 x 2025 Cell Batteries, Power By: 2 x 2025 Cell Batteries.